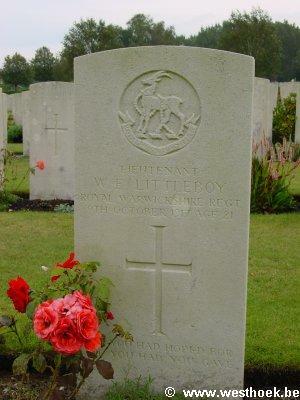 Lieutenant WILFRID EVELYN LITTLEBOY 16th Bn., Royal Warwickshire Regiment who died on Tuesday 9 October 1917. Age 21. 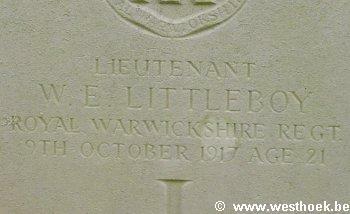 Lieutenant WILFRID EVELYN LITTLEBOY 16th Bn., Royal Warwickshire Regiment who died on Tuesday 9 October 1917. Age 21. Son of Charles William and Agnes Eveline Littleboy, of The Woodlands, Saltburn-by-the-Sea, Yorks. 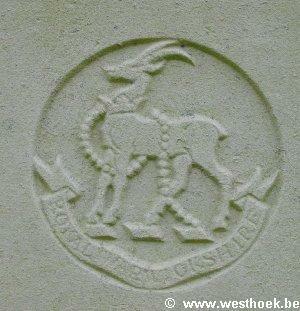 HOOGE CRATER CEMETERY Grave XII. H. 14.